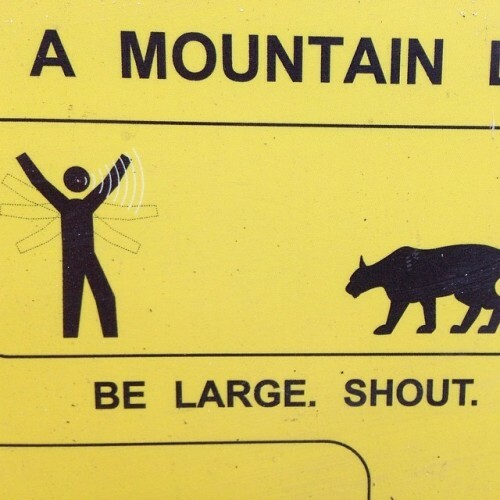 In case of mountain lion…Be large. Shout. Try to fly away!! These cats be fast mf’s.